Dr Shirin Ebadi was born on June 22, 1947 in Hamadan, Iran. Her father, Professor Mohammad Ali Ebadi was a lecturer in Commercial Law. His book "Commercial Law" was later edited and updated by his daughter, Shirin. When Shirin was only a year old, her family moved to Tehran where she received her education. In 1965, she started her law degree, completing it 3 years later. In 1970, after a period of internship, she became one the first female judges in Iran. She soon progressed through the ranks and was appointed Chief Magistrate of 26th Divisional Court in Tehran in 1975 — again making her the youngest and first female for the post. Shirin married in 1975 and has two daughters, Negar and Nargess. In 1979, immediately after the Islamic revolution in Iran, all female judges were dismissed as the then-revolutionaries believed that women were forbidden from passing judgment. She was demoted to the post of a magistrate's clerk in the very same court over which she once presided. Soon after, she opted for early retirement. In 1992, she set up a private practice handling contentious cases. She was the defense lawyer for many controversial political and human rights cases in Iran, including Zahra Kazemi (a journalist killed in Evin prison), Parvaneh and Dariush Foroohar (well-known political activists, killed by security forces), Ezat Ebrahim Nejad (killed in the dormitory of Tehran University, 1999) and Zahra Bani Yaghoob (a young doctor, killed in detention). She also took on the case of the seven leaders of the Baha'i faith in Iran. All these activities led to her incarceration on charges of spreading and publishing lies against the Islamic Republic in 1999. She spent 25 days in solitary confinement. The first court sentenced her to one-and-a-half year imprisonment and barred her from practicing law for five years. In the appeal process and due to international pressure, her sentence was reduced to a fine. 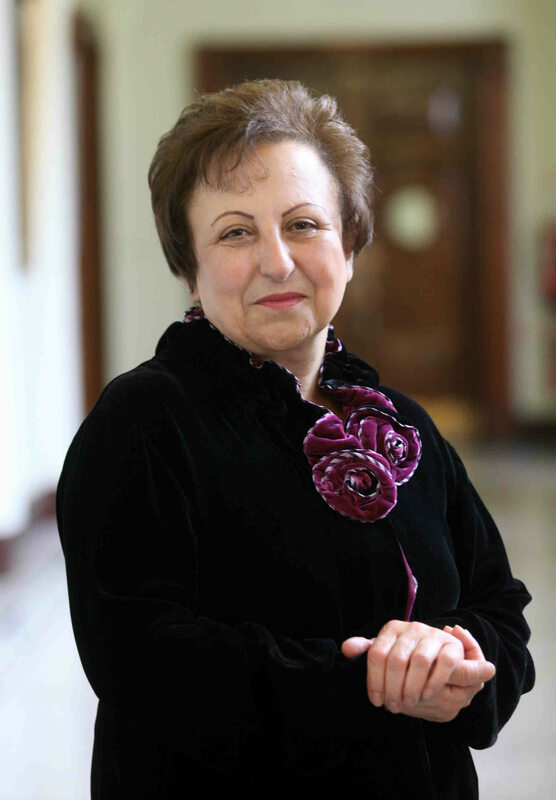 Dr. Ebadi won the Nobel Prize in 2003. She used some of the prize money to set up an office for the Center for Defenders of Human Rights and support the families of political prisoners. This center became a prominent human rights organization. As a result it was honored by the National Human Rights of France in 2003. In 2008, the center was closed down by security forces. They confiscated the building. Dr. Ebadi left Iran shortly before the June 2009 presidential election to participate in a conference in Spain. She did not return to Iran owing to the severe restrictions imposed on human rights activists, and upon receiving news of her colleagues’ arrests and many killings. She continued her activities in de facto exile. The Iranian government, disapproving of her actions, filed a case against her in the revolutionary court. The government confiscated her properties, including the office of the CDHR, on the pretext of unpaid taxes. Moreover, to blackmail and silence Dr. Ebadi, her sister and her husband were arrested by the security forces.